An exciting bit of news arrived in my inbox today. According to "my people" at iUniverse, my debut novel, The Space Between Thought, is now online and available... somewhere. They could not say exactly where. I guess they don't get Google, where they are. 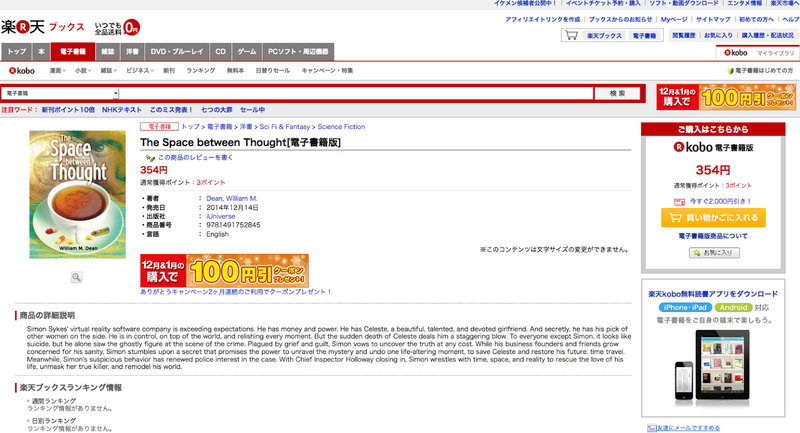 ... on Kobo, in Japan! I may need to have a talk with those guys in Marketing. The email mentioned that it will take between 2 and 6 weeks for every platform (i.e. 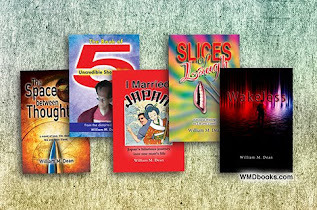 Amazon, Barnes & Noble etc.) to have all the information up and on display, and for the print edition to become available. The rudder's in the water. Now we wait for the rest of the ship.